The king of herbs has arrived! 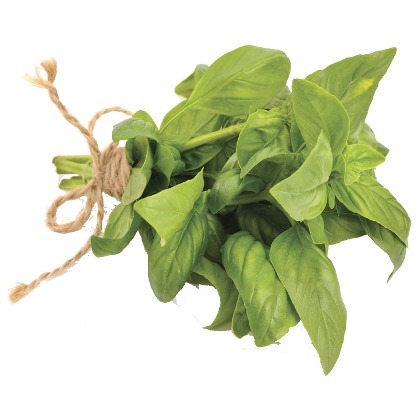 The word basil comes from the Greek βασιλεύς (basileus), meaning "king", as it has come to be associated with the Feast of the Cross commemorating the finding of the True Cross by St. Helena, mother of the emperor Constantine I.
Atmoslab Basil flavour is harmoniously blended with a spicy hint of pepper, anise and mint to generate an exquisite fresh finnish. Now, you can add a "pesto" note in your eliquids! The Basil flavour is available in 10ml pharmaceutical glass bottle having inner dropper and tamper-evident cap. Contains: Concentrated mixture of flavours, dissolved in propylene glycole (FEMA 2940). It is both sugar free and gluten free.